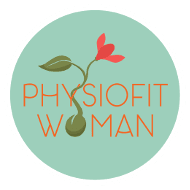 Deborah Fernandes is Member of the Irish Society of Chartered Physiotherapist and the Clinic Director of PhysioFit Woman. With 21 years of experience in Physiotherapy at International level, Deborah is the creator and provider of 100% hands-on revolutionary programmes in women's health, combining Physiotherapy and Pilates in Dublin. Pregnancy Pilates is a unique Antenatal Programme developed by Deborah where mums will learn valuable tips on how to enjoy their pregnancy by improving posture and reducing pregnancy discomforts such as lower back pain, sciatica, PGP and pelvic floor disfunction. Exercising during Pregnancy under the supervision of an experienced Chartered Physiotherapist will add the peace of mind and quality to your Antenatal Care. As part of our Women's Health Clinic Services, PhysioFit Woman offers a dedicated Pregnancy Physiotherapy and Antenatal Physiotherapy service for pregnancy, antenatal, prenatal, and related conditions. For years, discomfort associated with expecting a baby was accepted as a normal part of being pregnant. Fortunately today it is possible to significantly reduce and maintain the level of discomfort or pain to a minimum, through proper Physiotherapy Treatments. Mums-to-be should be able to enjoy their pregnancy to the full and now many General Practitioners and Consultants recommend Pregnancy Physiotherapy for relieving the discomfort experienced by pregnant women and helping them prepare the body for an easier delivery and recovery process. Women can also experience pains and discomforts after labour, some of which can endure for several weeks or even months, if not addressed properly. Find out more about and attend one of our Postnatal Physiotherapy and exclusive Postnatal Physiolates Programme. What to expect from a Pregnancy Physiotherapy and Antenatal Physiotherapy Session? On your 1st Physiotherapy visit you will need 1 hour with Deborah Fernandes, our Women's Health Physiotherapist, for a detailed consultation and your 1st Physiotherapy treatment. Following both assessment and diagnosis, Deborah will decide what is the best treatment plan. You may need 30 min or 60 min Physiotherapy follow-up or a course of 4h Physiotherapy. What Pregnancy & Antenatal Conditions can be treated?